A Dalmatian is a dog. There are different dog breeds. One dog breed is called: Dalmatian. 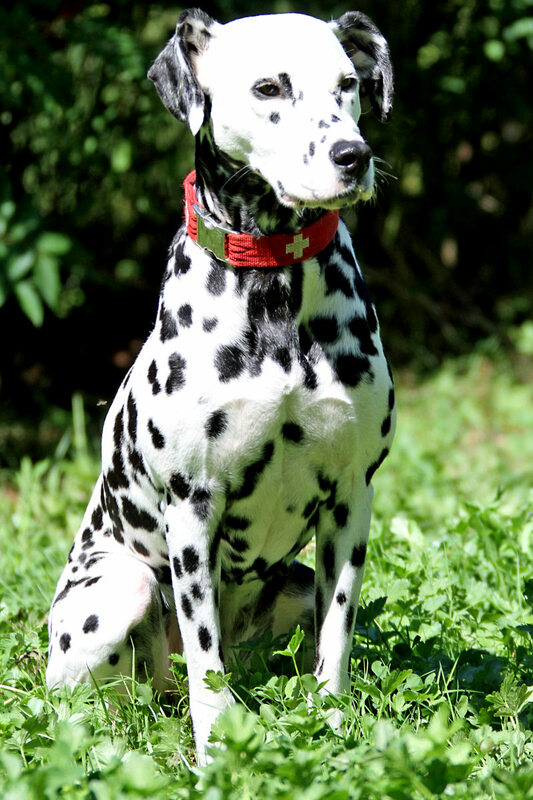 A Dalmatian has short, white fur. On the fur are black spots.